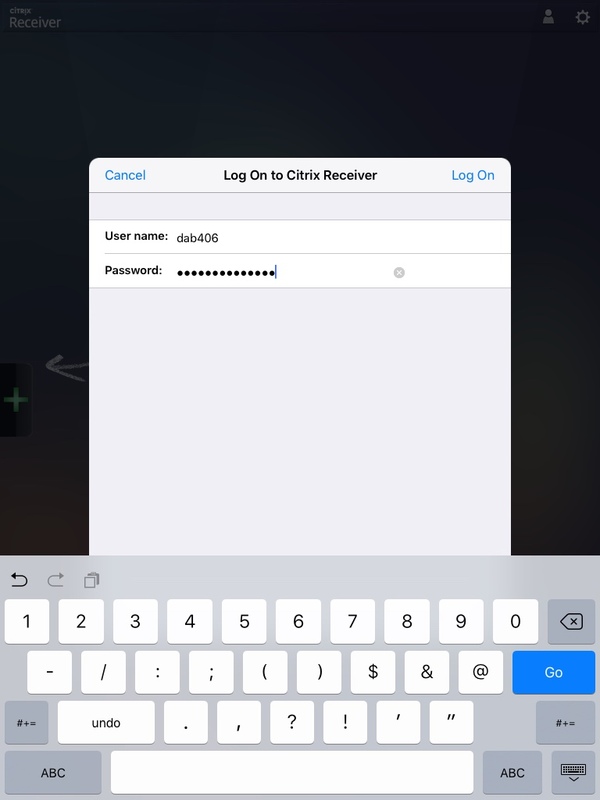 Follow these steps to install the Citrix Workspace (LUapps) onto an Apple iOS device. 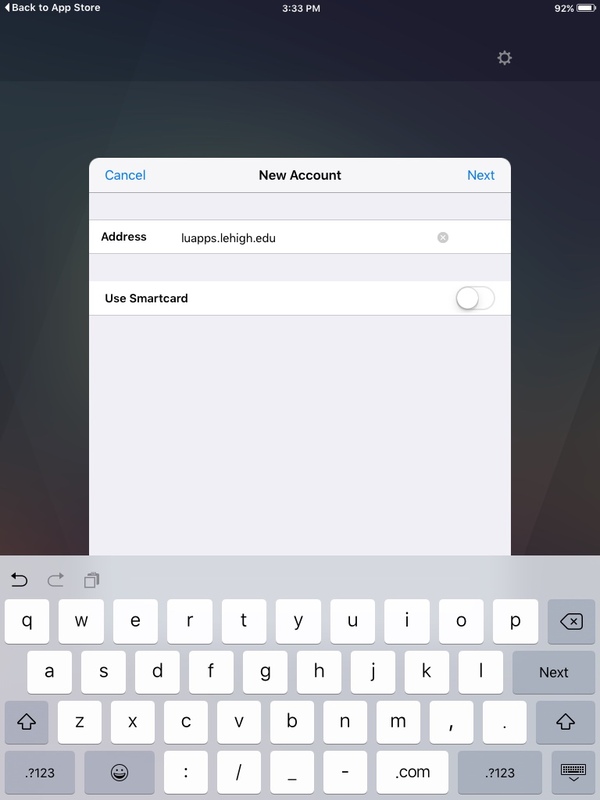 Note that interface differs on iPads and iPhone. Steps here show the iPad interface. 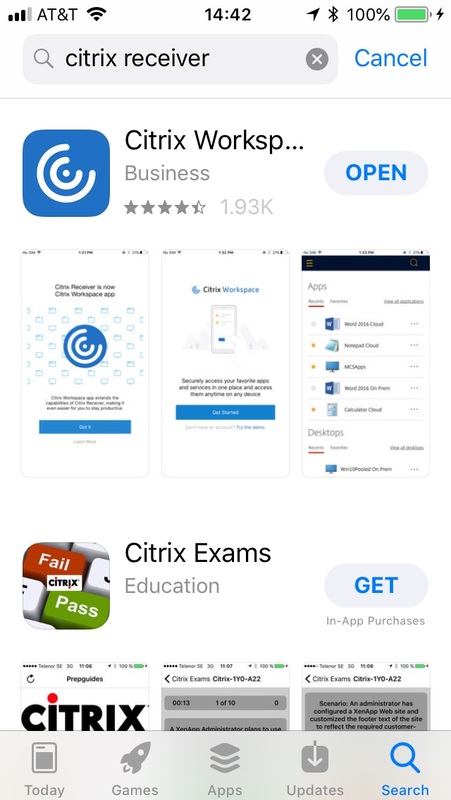 In the App Store, search for 'Citrix Workspace' and navigate to it's page. 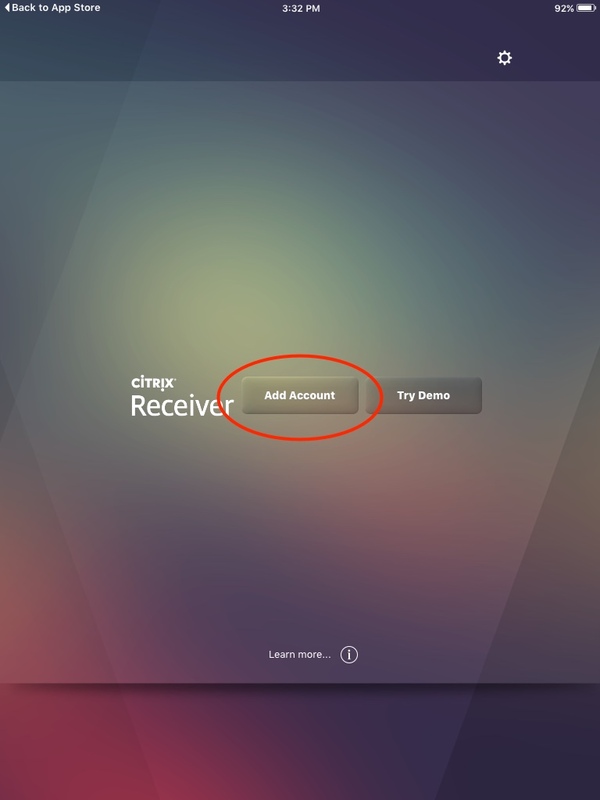 Click on the 'Get' button on the Citrix Workspace listing. Once the app is installed, you'll see a screen that allows you to point the program at Lehigh's server. Click 'Add Account'. In the first window, type 'luapps.lehigh.edu' and click 'Next'. 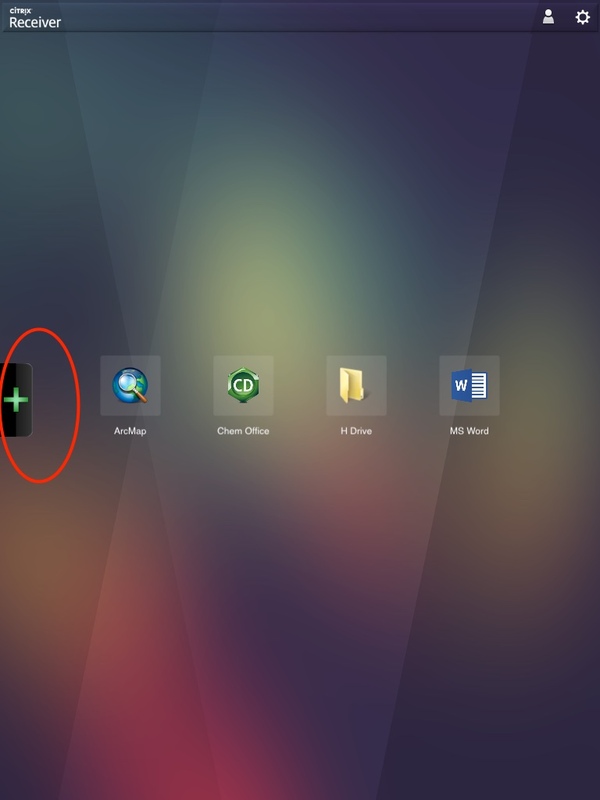 Once logged in, your 'Favorites' are displayed. 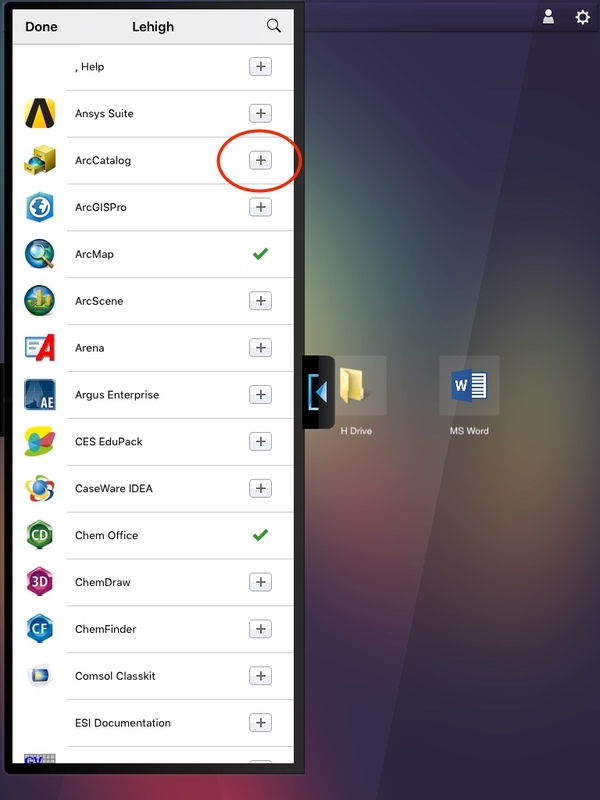 To add favorites, display all of your available apps by clicking the 'Plus' tab. Select Favorites by clicking the 'plus boxes'. 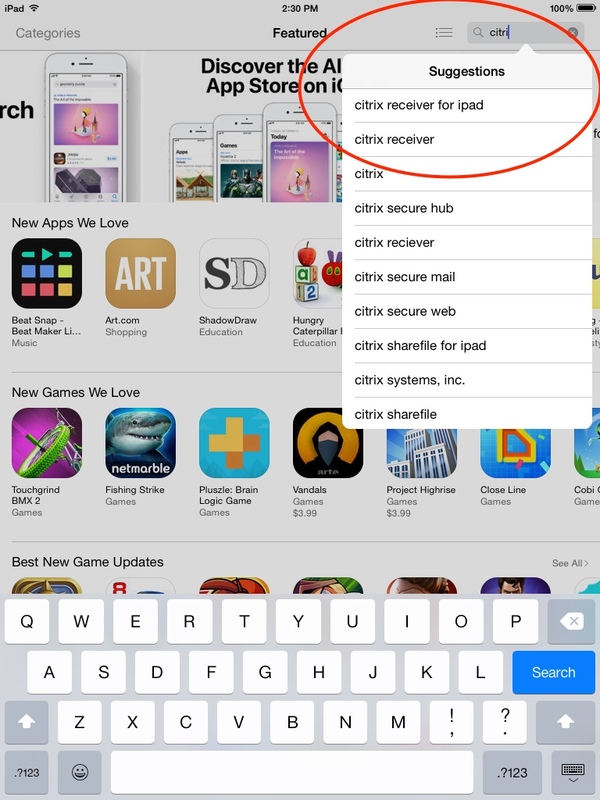 When an app opens, look for the top tab to pull out a tray of controls. 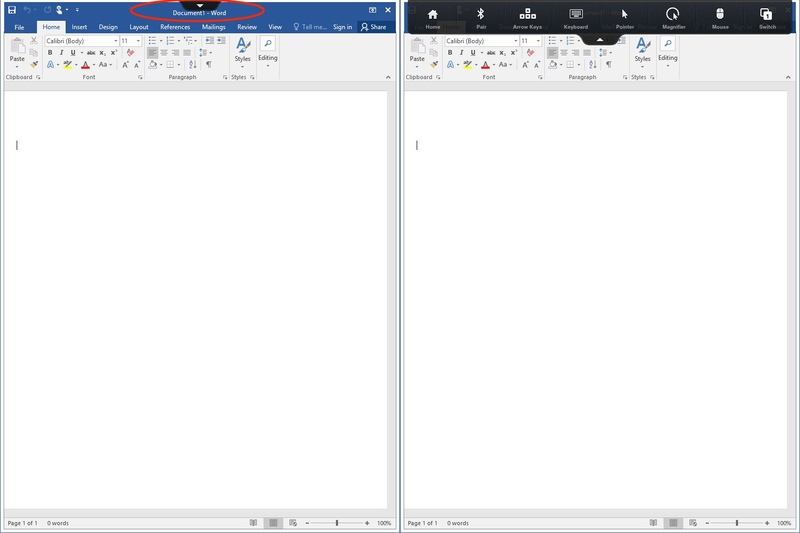 These allow you to return to your favorites, access files, pan on the screen with arrow keys, bring up a keyboard to type, a pointer to click, a magnifier to view, and a mouse control for right-clicking and dragging items on the screen, and switching between apps.